Later, the legend claims, while Madame Royale was in prison, she was raped and impregnated. She was sent off to Germany to a small town where she was made to wear a green veil and given the name of “Sophie Batta,” also known as The Dark Countess. Meanwhile, her wicked uncle Louis XVIII replaced her with her alleged “half-sister” Ernestine, who became the Duchesse d’ Angoulême. The Dark Countess rumor was perpetuated by Marie-Thérèse’s moroseness and lack of beauty. How could she be the daughter of the beautiful lively Marie-Antoinette? So they assumed that she was someone else. 1) Louis XVI had no illegitimate children. There is no proof that he had an operation. He was known for his devotion to his wife, fidelity to his marriage vows and his religious scrupulosity. He did not have an affair with a chambermaid and beget Ernestine. There was an Ernestine, a child of servants, whom Marie-Antoinette adopted. (She adopted two other children as well. The queen came from a large family and liked having lots of children around.) 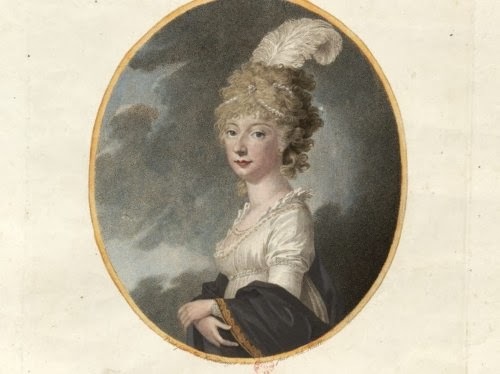 There is no evidence that Ernestine was the secret daughter of Louis XVI or of any of the other princes. 2) Louis XVIII would have had to pay off a huge amount of people to buy their silence, and he really did not have all that much money – not enough for that kind of blackmail. He had been an impoverished exile for over 20 years. When he did get hold of some cash, he immediately deposited it in an English bank. The Bourbon family lived on his savings the next time they were all exiled.